Horror is making a comeback! My favorite, favorite, favorite type of story is the haunted house tale. This is the epitome of subtle horror. I love it. So, when I found out they were actually releasing an old school haunted house movie, I was beyond excited. The Conjuring didn't disappoint. Most movies like these have slow moments. 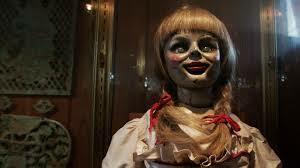 The Conjuring had decent scares at every scene. It wasn't overdone. It was the perfect amount of creep to give you the willies. Yes, I jumped several times. One of the highlights was this doll. It had to have been the creepiest thing I had ever seen. Why would anyone even have something like this? 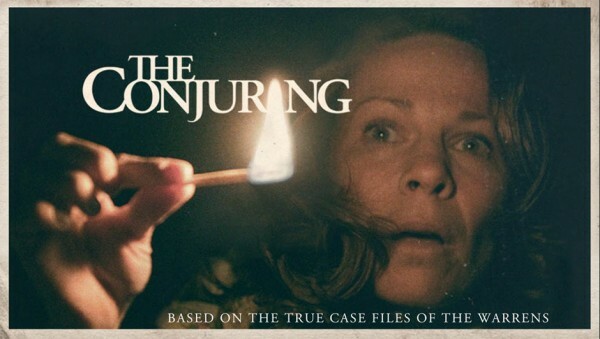 The Conjuring is supposed to be based on a true story. Whether this really happened or not made no difference to me. In the past, I've read some reviews where people said the movie wasn't scary because the "true events" couldn't possibly have happened. I judge how scary the movie is based on what I see. It's an interesting device to say it's based on true events or that it's "found footage," but that doesn't change anything for me. The movie didn't do anything spectacular. It didn't reinvent the horror genre. Most of the scenes were straight out of horror 101. Despite that, The Conjuring managed to keep me in suspense. You knew something was going to happen, you just couldn't predict when. It played with your emotions. You weren't scared simply because creepy things were happening. You were scared because you didn't know whether your favorite characters would live. No one was safe, not even the children. That had me on the edge more than anything else. What I was really surprised about was how many people went to see this movie. The theatre was packed. I've been reading articles about how this is #1 in the box office. A horror movie with no over-the-top effects and no gore is actually popular. That makes me so happy. There's hope for this genre yet. We need more horror movies like this! Sounds super creepy and the trailer is freaking me out. I have to give horror a break after watching Woman in Black. Thanks for sharing this, Auden! Dolls freak me out! I've always been afraid of them—especially the ones whose eyes close when you lie them down. That sound the eyes make gives me the creeps. You should definitely see this movie! Pretty freaky, and also a bunch of fun to watch and be scared by. Good review Auden.